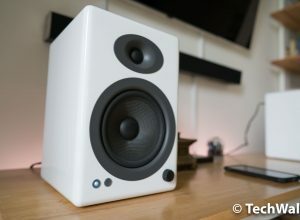 Wondershare TunesGo Review - The Perfect iTunes Companion? 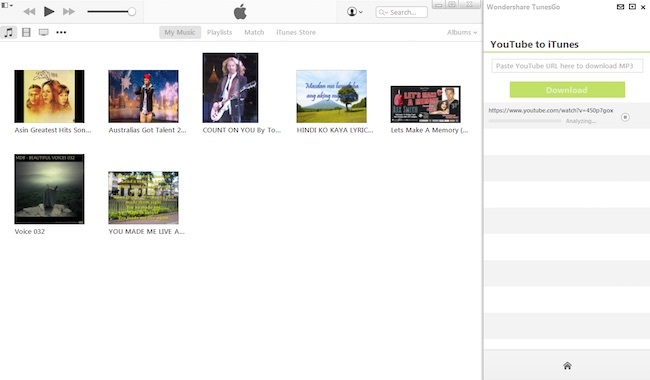 Wondershare TunesGo Review – The Perfect iTunes Companion? One of the persistent barriers that continue to divide mobile music lovers is the lack of a common interface between major platforms such as Android and iOS. Such a divide brings about unnecessary burden when one tries to transfer files from iTunes to Android devices, especially music files and photos. Luckily, there are apps out already that help users break the wall, at the very least, between Android and iOS platforms. 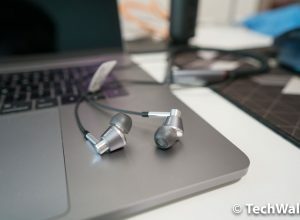 The Wondershare TunesGo software for Windows computers is designed to help users share music with their Android devices and manage files into an organized library that is easy to search and sort things out. For users of iPhone and iPad devices, things can get a bit complicated and difficult when you want to play your favorite music on your Android phone that has been lately stored in iTunes. The problem arises partly because there are already a vast trove of handsets that run different versions of Android, creating a complex ecosystem for sharing between disparate platforms. 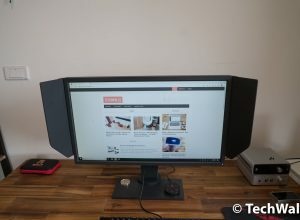 So in order to achieve a commonality between, one option is to install a software like Wondershare TunesGo. The software works on Windows computers with pre-installed iTunes for Windows. If you haven’t got this software from Apple yet, you can download from their website. Once TunesGo has completed the installation process, where you only need to follow the usual steps of unpacking a software product, you will be prompted to connect the software with your mobile device. This stage of set up comes easy for Android users with any version of the operating system because TunesGo supports Android versions as early as Gingerbread up to the latest iteration. For each version of Android, there are different steps to follow in order to connect your mobile device to the TunesGo software, which is displayed on the right most side of iTunes. Connecting your phone to the software comes easy by only using a USB cable and the process is automatic. After completion of this stage, your music file sharing between iTunes and Android is good to go. There is another functionality in Wondershare TunesGo which allows you to download and convert videos from YouTube into mp3 files, but be always aware of the many copyrighted materials uploaded to the video sharing site. 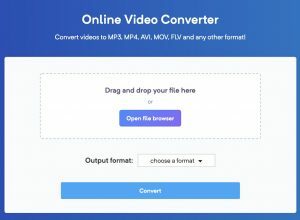 The function works as any other conversion software, the only advantage being that you no longer have to copy and paste the URL into the conversion field in the software. In my case, I only needed to open a YouTube video and TunesGo automatically copies the URL. The software is intuitively aware of videos with copyright protection. Consequently, I wasn’t able to download all videos that I visited. Which is a good thing to respect the law. Also, my music library was at first a bit messy. 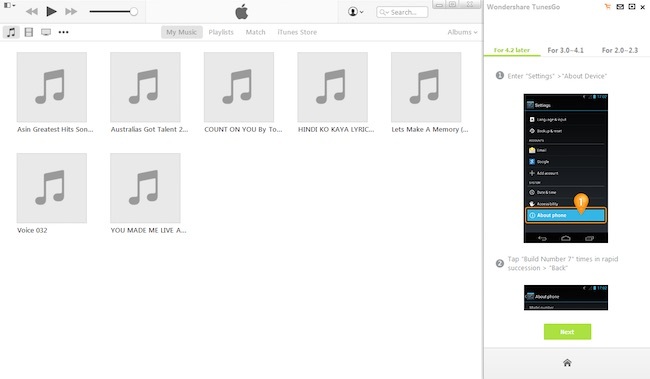 One nice feature of TunesGo is its ability to clean your library and put the proper labels and tags to your individual music file. It worked nicely on my files as they became more streamlined and properly labeled after I run the cleaning function.